In line with an array of achievements and awards for excellence and innovations in the digital marketing platform, ADG Online Solutions has marked another noteworthy milestone. Co-Founder & Managing Director of the company, Deepa Sayal has been recognised amongst the ‘50 Best Digital Marketing Professionals’ for brand excellence in digital marketing by CMO Council & World Marketing Congress in its 3rd edition, at the ‘Mobile & Digital Marketing Summit 2014’. We interviewed her about the awards and the struggles to build a successful digital agency. Tell us about yourself and the Digital Journey so far? 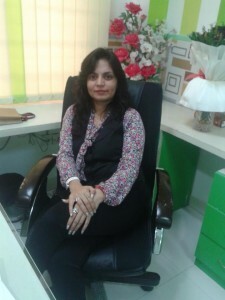 My journey started in 1997 working as an account manager in an ad-agency, with shifting places and positions in various marketing streams and product verticals in the industry. I always felt that there could be an interesting digital story in the making and hence, ADG Online Solutions was born in 2007. The business was instigated with a paid up capital of one Lakh Rupees and till today, ADG Online is completely bootstrapped. The company now boasts of many renowned national and international accounts with numerous affluent B2B and B2C clientele in India and abroad. We have recently won an award from the World Marketing Congress for being amongst the Top 50 agencies for Digital Excellence. As a creative agency, we constantly ideate across newer platforms providing brand-makeovers, creating viral campaigns and creative content like digital apps. However, our forte is Digital Demand Generation for a large bunch of accounts. Spread across all major metropolis including Delhi, Chandigarh, Mumbai, etc; we have come a long way by God’s grace. She elucidates how her family and husband have always been her pillars, and is very fortunate to have such a strong team to support her. How does it feel to win an award at an early age? I think this is just a small step and there is a long way to go. All we need is to do some excellent work that makes us stand apart. Much of the credit I would like to share with my family and team who have always stood by and actually made this happen with their relentless support. Where do you think Digital is headed? Digital media would constitute as a key ingredient of marketing as it is value led and that in turn would contribute in a big way to the customer journey in the future. We would have new evolutions such as smart devices that would propel Digital in a big way. Digital hence will be the front-runner not only in the marketing mix, but in our daily lifestyle in the time to come. What does it take to build a successful Digital Agency? Nothing beats the spirit to constantly innovate, ideate and passionately work on your goals. Every successful enterprise needs to have a stand apart USP and that’s the motto. Besides, there are no short cuts to success; hence one needs to have perseverance and patience. 3 Best advises to the digital industry? Let us put the impetus on great content, as it is the foundation of any brilliant campaign. Step in the shoes of the marketer and understand the basics on 3Ws (what, who and when). Chisel out value led propositions.